You received this mailing because you signed up for my newsletter or one of my free reports. To unsubscribe, please scroll down to the end of the page. Be sure to add email address to your whitelist or email friends list so you don't miss any issues! Zip lining is exhilarating, as experienced a couple of weekends ago with some fabulous “I’ve-got-your-back” friends. It was not without entertaining moments as well, like one of my friends taking “selfies” while traversing across a ravine at zip line speed. It was a crisp autumn day and we were amongst the fall foliage and pines of a ski resort. We had two guides who led us to and over 10 increasingly difficult (higher and longer) “rides,” ending with a tandem line in which two zip liners race to the finish. Our twenty-something guides ensured that our harnesses and helmets were on properly, trained us about safety measures (like don’t jump off the platform until one of them had secured our fastener to the cable), demonstrated each ride, knew our names and laughed at our jokes (to calm our nerves). The guides exuded competency and confidence, and we trusted them with our lives (literally). The experience was an excellent reminder of how each of us is called upon to lead (or follow) on a daily basis. Clearly, our guides took the helm to ensure we were safe and had a good time. We have opportunities each day to stand in our power to teach, make a difference, or launch a new product. Some situations, however, call for us to follow (as novice zip liners, for instance). Leadership is a many sided skill set and requires a number of characteristics, some of which are more important than others in different situations and settings. Read on to learn more about the various aspects of leadership. Coach2Growth delivers leadership coaching, business strategy and marketing consulting for business people who want to achieve more, be recognized, and grow and prosper fearlessly. How Does Your Leadership Wheel Roll? There is a lot written about leadership. I mean A LOT! If you search for leadership books on Amazon, 21,907 hardback books come up. Must be a pretty important topic, or a lot of trees are sacrificing their lives for nothing. And, yet, leadership can be an amorphous topic and always easier to see than describe. It’s not one attribute or skill that defines leadership, it’s a combination of personal qualities that you call upon each day to make decisions and ensure your organization or business rolls smoothly…like the spokes of a wheel, your Leadership Wheel, if you will. While, indeed, some people are born leaders, most of us come to the party with some aspects of leadership stronger than others. And, some aspects of leadership are uncomfortable for us. While most of us enjoy seeing an inspirational leader at work, for instance, not everyone enjoys the prospect of being the person whose job it is to inspire and rally the troops around a vision. Thankfully, leadership is multi-faceted, and just because being the visionary is not your innate strength, does not mean you are an ineffective leader. Each of us comes to the table with certain intrinsic aspects of leadership, others in need of development, and still others that vacillate under stress. On the other hand, your ability to form high-energy, healthy relationships may be just what your business requires to ensure your pipeline is always full. How you lead your organization or company (and your life, for that matter) can make all the difference in whether you’re able to inspire, influence and, ultimately, grow your business. The Coach2Growth Leadership Wheel identifies 10 aspects of leadership. Check out our self-assessment tool to see how your Leadership Wheel rolls. If you like this and are interested in reading more, please visit the Coach2Growth blog. 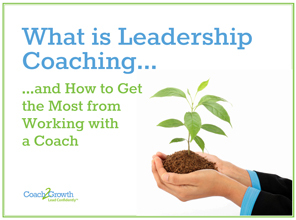 The Coach2Growth Leadership Coaching eBook. Here is your quick-read guide for those who want to understand more about what is Leadership Coaching, who will benefit, and how to get the most from a coaching engagement with a professional coach. Jacqueline blends years of strategic and practical business experience with global companies and her enthusiasm to help leaders, organizations and teams realize their full potential by partnering for success. She has worked with company leaders and individual contributors who want to achieve more, be recognized, and prosper fearlessly. Jacqueline has been a natural and compassionate champion, mentor and coach to women throughout her career. She served on the board of Girls Inc. of Lynn for six years, and is a member of The Boston Club (one of the largest communities of women executives and professional leaders in the Northeast). 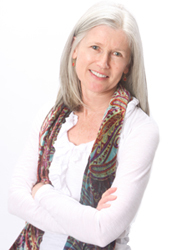 Jacqueline has an MBA and is a Certified Professional Coach (CPC), having completed her training in the premier accredited International Coaching Federation (ICF) certification program through the Institute for Professional Excellence in Coaching (IPEC). She is also certified as an Energy Leadership Index-Master Practitioner (ELI-MP). © Copyright 2014 Coach2Growth. All rights reserved.